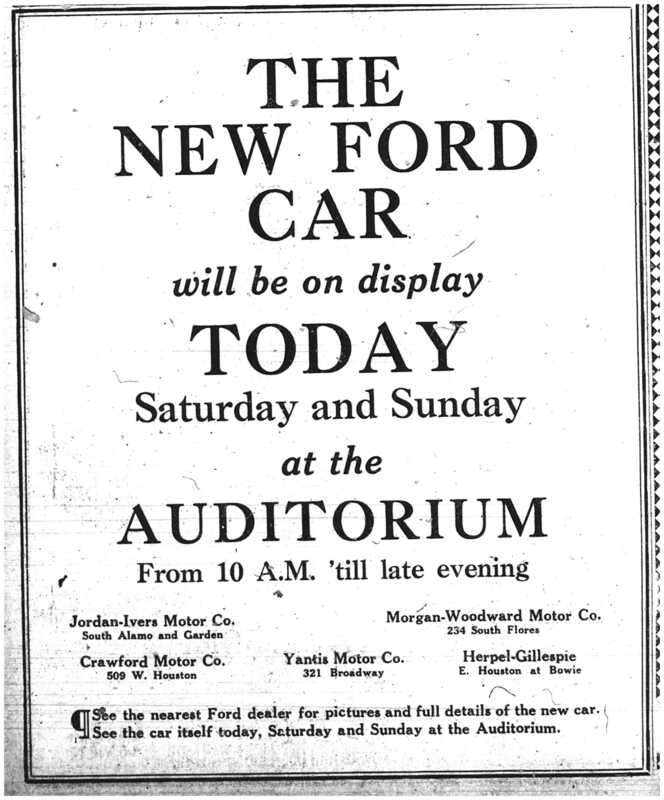 At 10 a.m. sharp, the doors to Municipal Auditorium are opened and San Antonians rush in to see “the new Ford” – the Model A – first new Ford model in 15 years. By noon, five-thousand have seen the new phaeton and the two-door sedan, with 5,000 more predicted to see the cars before the doors close late tonight. The Victoria Lounge at 136 W. Durango was destroyed at about 8 a.m. when one of three Southern Pacific boxcars rolled down a grade and crashed into the building. No one was in the lounge at the time of the accident. The deposed Shah of Iran arrives at Kelly AFB to recuperate from cancer surgery at Wilford Hall. He would leave the US on December 15 and reside in Panama until March 1980 when he relocated to Egypt. He died there on July 27, 1980 and is buried in Cairo. Posted on December 2, 2018, in Texana and tagged 1927, 1974, 1979. Bookmark the permalink. Leave a comment.